← Stressed out? You are the Stress and the Stressor. This is not a fun or witty blog post. But it’s VERY IMPORTANT to know! True story: I am a nurse and I was shocked when another nurse was diabetic and did not even know! She was thirsty, drinking, peeing, thirsty, drinking, peeing, eating too much and gaining weight, tired all the time, blurred vision… It wasn’t until she went to see her doctor that she learned she was a type 2 diabetic! What is diabetes? Type 2 Diabetes is the most common form of diabetes and is a condition where you have too much glucose in your blood and not enough insulin. Insulin deficiency is caused by the pancreas not producing enough insulin. This results in a glucose build-up in the body which is passed into the urine, causing excessive thirst and urination. 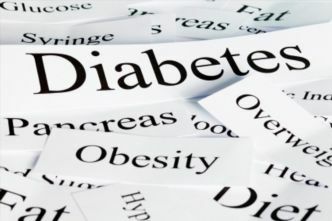 Diabetes is a disease that can be controlled. But if not properly managed, it will cause a serious health problem such as high blood pressure and heart disease. You can lower you risk of complications by changing your life style habits with increased physical activities. Excessive thirst and voracious appetite. Frequent Urination, sometimes every hour. Tiredness plus unusual weight gain. Breathing more deeply and rapidly than normal. Dry mouth and blurring vision. Itchy, dry skin – especially at the groin area and bend of the arms, hands and legs. You can manage your diabetes and prevent complications with these quick tips. Don’t go outside bare footed. Wear your slippers. Pay attention to your feet daily. Inspect between your legs and toes. Add to your snack pack few glucose tablets or hard candy. Always carry it with you in case of low blood sugar. Check your blood sugar before every meal and before bed time. Make insulin your lifestyle. It will be a convenient addition too your current therapy. Plan your meals and power up your diet. Eat low glycemic index food. They will not cause a spike in blood sugar. Drink lots of water – high glucose causes the body to lose water and you skin can get dry. This may cause the skin to get itchy and crack and that can lead to infection. Regular exercise daily is an important part of managing your diabetes. Diabetes is a circulation problem and can turn a minor cut into non-healing wound that may require a visit to a doctor or wound care center. This entry was posted in Common Sense Health, Diet, Disease Prevention, Food, Health Promotion, Home Remedies, Office Health and tagged Diabetes, diet, exercise, insulin, polydipsia, polyphagia, polyuria, type 2. Bookmark the permalink.